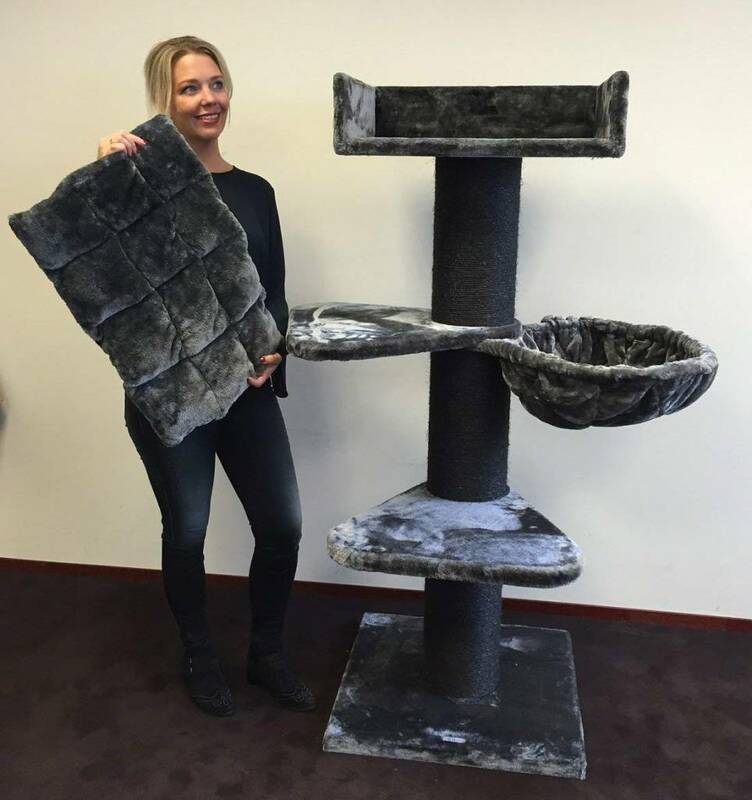 Cat Tree Royalty Plus Blackline Dark Grey Sisal posts 20cmØ scratching post activity centre for large cats. 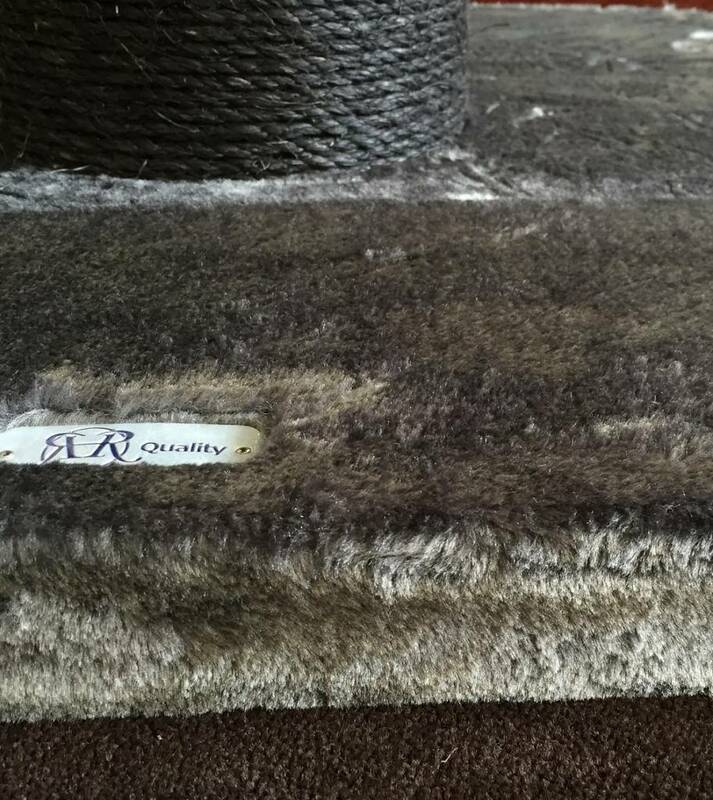 European Quality production from RHRQuality. 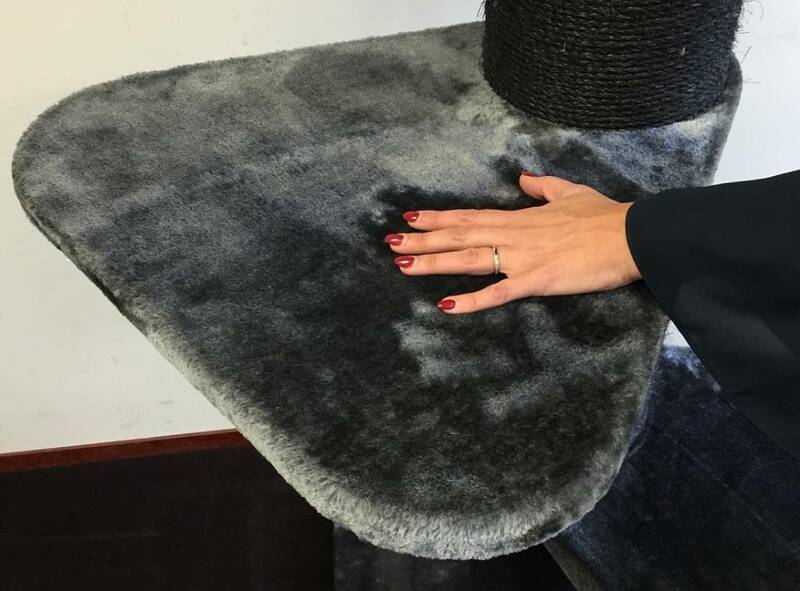 Total sice 70x70x157. Steps lying place 55x55 cm. All is big and very strong. 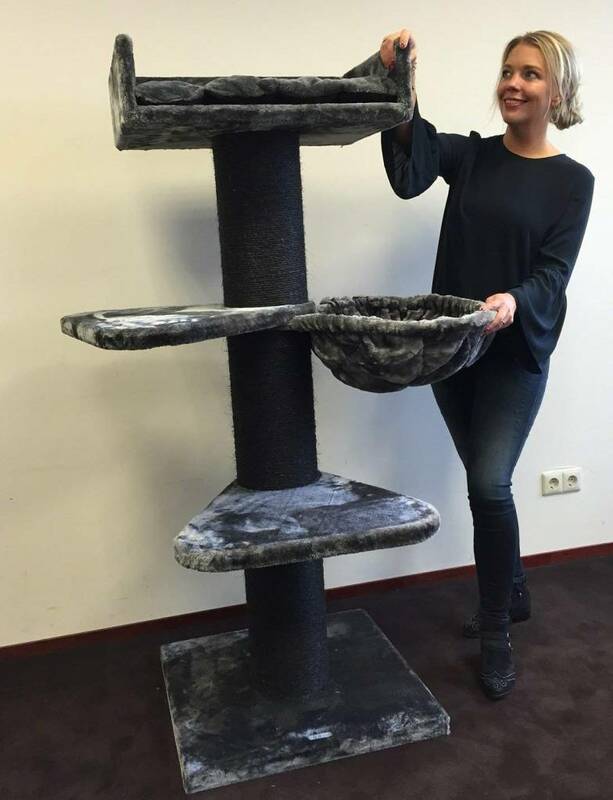 Cat Tree Royalty Plus BLACKLINE is a very steady cat tree with 20cm thick sisal poles and bottom plate of 70x70x4,5 cm which is made very heavy. 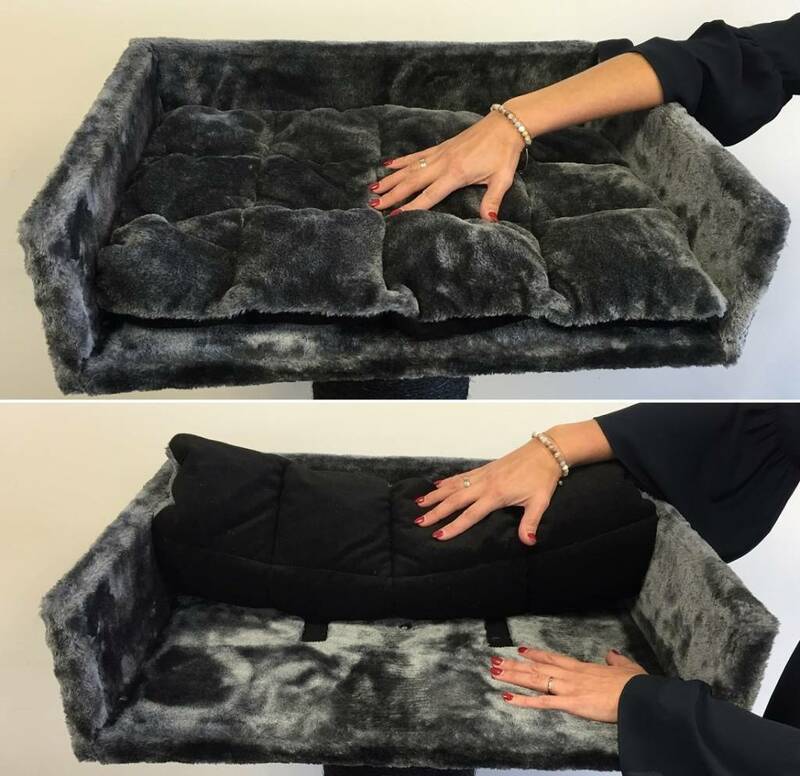 The Royalty has 55x55 cm large lying places to ly on or through the large step your cats goes easy to the very large lyingplace from 60x43x15cm which has a removable an washable 5cm thick pillow. For this lying place 2,5 cm thick wood is used. 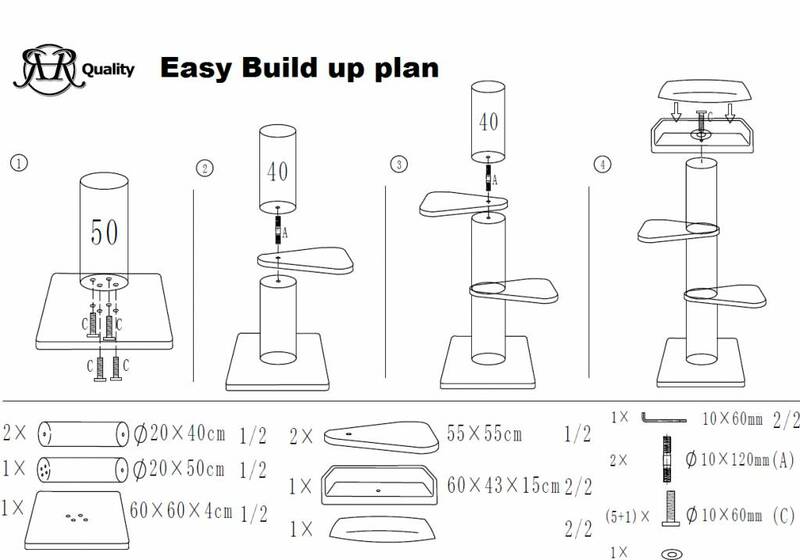 (Very strong). Sisal poles: 20 cm diameter and covered with strong sisalcarpet.